Having secured her Rookie of the Year honour here in 2013, followed by winning the Order of Merit the next year, England’s Charley Hull now wants to complete the set by winning this week’s Omega Dubai Ladies Masters. Hull is not in contention for the Order of Merit this year, having played only three events on the LET schedule, but riding on a wave of confidence having won her first LPGA Tour title (CME Group Tour Championship) just a fortnight ago. Speaking to the media on the eve of the “I feel pretty good with my golf game at the moment. So I will hopefully try to look for a win here because I’ve never actually won the tournament here. It would be pretty cool to finish the season on a high. “Yeah, I do have great memories of this event. It’s fun. I like it. Especially winning the Rookie of the Year, because I remember it being quite close between me and Holly (Clyburn). I kind of felt the pressure, but played well for it. One of the reasons the 20-year-old Hull is confident about her chances is because she loves the Majlis course of Emirates Golf Club. “I really enjoy the golf course. Ever since I first had a look three years ago, I’ve loved it. I think it’s a great golf course. I think it’s well designed,” she added. Hull’s biggest challenge will be against world No4 Shanshan Feng, who is a three-time champion in Dubai. However, a trick that she learned from the Chinese star makes Hull feel she can take her down this year. “I’ve played a lot with Shanshan and I’ve enjoyed playing with her,” said the world No18. “I actually learned something off Shanshan a few weeks back, because when she won in Japan, she said that she doesn’t look at scoreboards on the way around. So I also didn’t look at the scoreboards when I played in America at the CME event, and I won. So, hopefully, I can do it again this week. “It was hard not to see the boards to begin with, and then it was fine. Just don’t look at them. Hull is paired with two-time major champion Suzann Pettersen of Norway and Nocera. They will tee off at 7:45 from the 10th tee. It seemed most appropriate on Tuesday that in the build-up to the final event of her phenomenal rookie season, Aditi Ashok was somewhere 38,000 feet up in the sky. Don’t be surprised if you find the 18-year-old, otherwise a very grounded individual, walking on air as she competes in the Omega Dubai Desert Classic this week. What the Bangalore girl has achieved in the past one year, boggles the mind. An amateur this time in 2015, she qualified for the Ladies European Tour by winning the Qualifying School. She then qualified for the Olympics, and even led the tournament, which was stacked with superstars, after 27 holes. There was no stopping her once she returned from the Olympics. In seven starts since Rio, she has finished inside the top 10 in six, won twice and her worst finish was a tied 46th place at the Fatima Bint Ladies Open. Ashok got her breakthrough win in her home tournament – the Indian Open – and then backed it up with another win the week after at the Qatar Ladies Open. It elevated her to second in the LET Order of Merit and her earning of E180,415 cannot be surpassed by any other rookie. The icing on the cake came on Sunday, when less than one year of turning pro, she secured her LPGA Tour card. By finishing tied 24th at the Qualifying School in Daytona Beach, Ashok now has a category 17 exemption for 2017. The trip back from the US was the reason Ashok wasn’t in town until late Tuesday night. 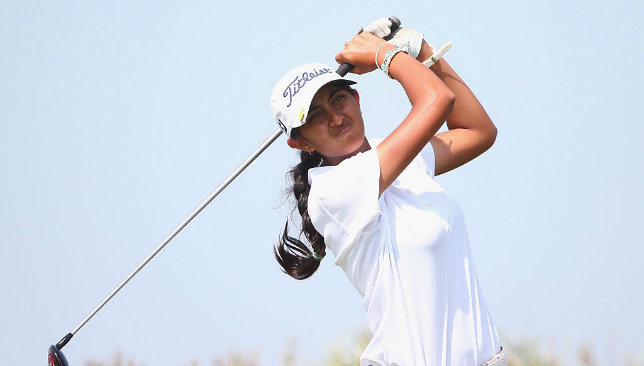 All the long flights across time zones would be one of the reasons you’d expect her not to be in her best form this week, but Steven Giuliano, the Malaysia-based coach of Ashok, insists that his student likes nothing more to play golf week in and week out. And while most experts are crediting the experience of playing the Olympics as the reason for Ashok’s recent run of form, Giuliano has a different view. “I think it’s more a case of having the opportunity to play a longer stretch of events and finding her groove on the course,” said Giuliano. “The first half of the year, she had to complete her final exams and had not turned 18. The event schedule on LET was quiet until June. Her short game has just been exceptional. 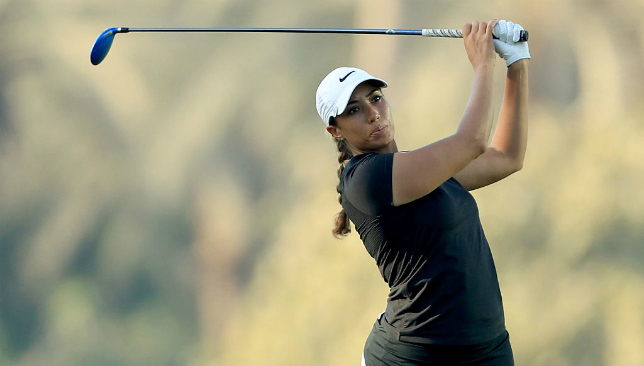 At 233.8 yards off the tee, the slender Ashok lags far behind most players on the Tour, but once on the green, her flat stick has worked like magic. With 28.9 average putts per round, she is fourth in the stat category. “She has worked very hard and continues to develop a strong arsenal of shots around the green,” said Giuliano, insisting that they are working hard on her long game as well. “We regularly review her game stats to highlight areas that may be holding her back and she’s open to learning new shots needed to combat those situations. Another former coach of Ashok, the Bangalore-based Tarun Sardesai, oversaw her initial development from junior days until the end of 2012, and says he is not surprised at all by her remarkable rise. “There are times when you just look at a kid and you know that kid is special. Aditi was very special,” said Sardesai. “She would keep detailed notes of everything I told her as a 10-year-old, and if I said something to the contrary six months later, she’d be the one to point out. “Her greatest quality is that she can soak up any instruction given to her like a sponge. And she is absolutely fearless on the golf course.